In this edition of Flight School, we take it back to the heyday of one of basketball history’s shining moments. In 1992, Magic Johnson announced his sudden retirement from the NBA. The news shocked the world and left fans in disarray that they were to never see “Magic” on the court again. However, he still was accepted to play for Team USA in the 1992 Olympic Games in Barcelona, Spain. 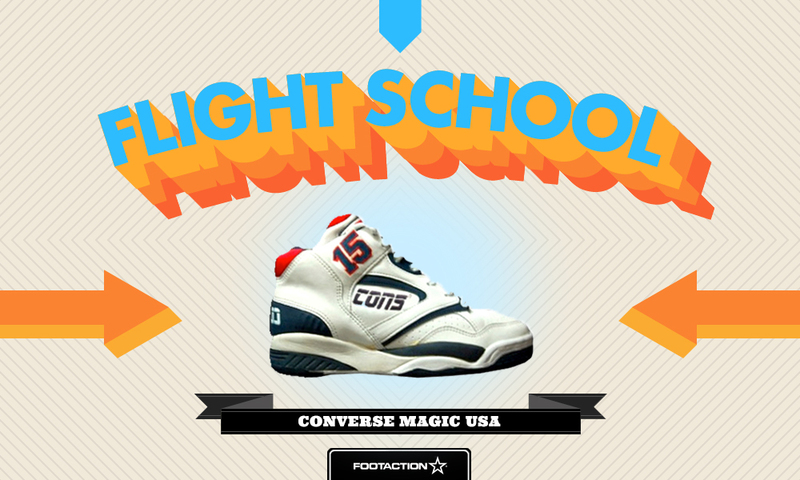 Longtime endorser Converse laced him up with the Converse Magic USA for one last time on the court spreading no-look passes and sharing court presence with the likes of Michael Jordan, Larry Bird, Charles Barkley, Clyde Drexler and the list goes on.